A storming summer anthem, the sultry single is led by the high-tempo beat of Benny Benassi, the mastermind behind the iconic, genre-defining electro house track ‘Satisfaction’ and massive international hit ‘Cinema’ featuring Gary Go. Everybody Needs A Kiss utilises a deep horn-led hook, and relies on strong melodic elements which look set to propel the track into the realms of 2018’s biggest summer anthems. Launched to stardom with his groundbreaking global smash ‘Satisfaction’ and its game-changing music video, Benny Benassi solidified his mark as a pioneer in dance music with his trademarked infusion of house and electro. The world-class producer went on to win a Grammy in 2008 for his remix of Public Enemy’s ‘Bring The Noise,’ further establishing the Benassi name and leading to production work with the likes of Madonna and John Legend, amongst others. Benassi’s star-studded 2011 album ‘Electroman’ boasted an eclectic mix of international chart-topping tracks, including the Chris Brown collaboration ‘Beautiful People,’ one of the biggest crossover dance records of its time. Following the release of 2016’s ‘Danceaholic’, featuring yet another massive summer anthem with Brown, ‘Paradise’, his music continues to evolve whilst still remaining true to the very core of the Benassi sound. 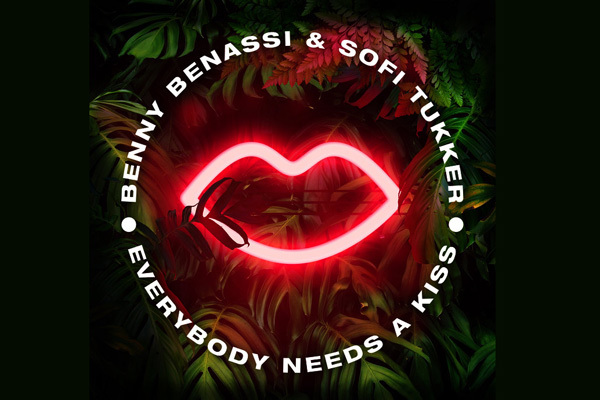 An electrifying production from Benassi, whose double-decade career has seen him play across iconic stages such as Coachella, EDC, Ultra Music Festival, and Tomorrowland to name just a few, ‘Everybody Needs a Kiss’ is out now.